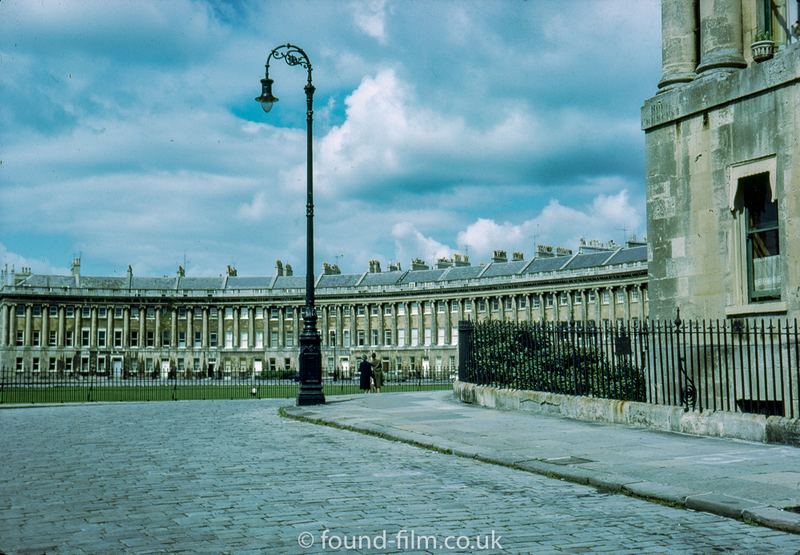 A picture of the famous Royal Crescent in Bath taken on Kodachrome film in August 1963. It is a good job that the slide had the date marked on it because this is one of those timeless images that would be almost impossible to date just by looking at the picture. Even the two people in the picture, who are standing by the railing in the right-hand half, are far enough from the photographer that it would be difficult to accurately date the picture from their clothes. It’s an attractive image and makes me wonder about how many of our population have been very good photographers. Whoever took this had a good eye. It is also interesting because of the image quality that is still evident. It seems that Kodachrome was unsurpassed for the longevity of its retained quality. I think you are absolutely right Roy – in my experience of scanning images for Found-Film there is no other emulsion which has retained its quality like Kodachrome.